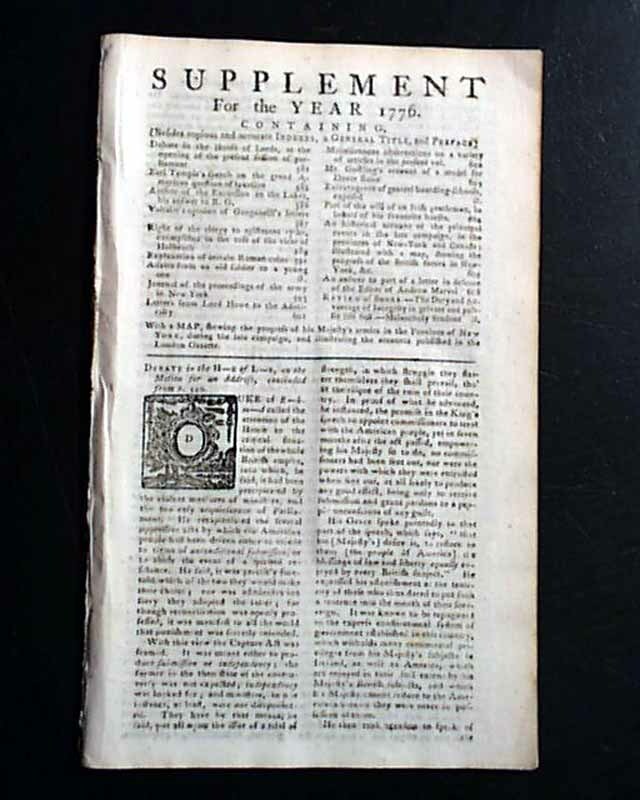 Item # 642188 GENTLEMAN'S MAGAZINE SUPPLEMENT, London, for the year 1776 A very nice "Supplement" issue to this popular magazine from during the Revolutionary War. 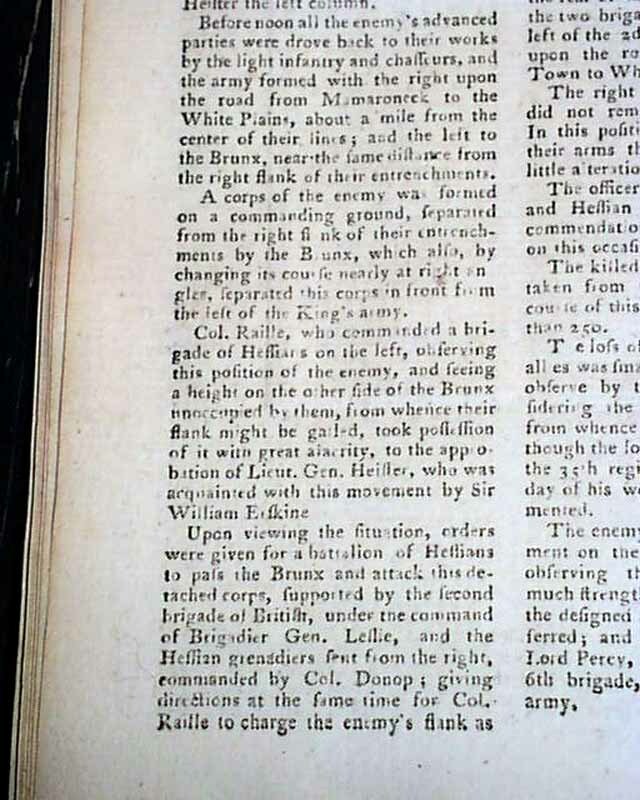 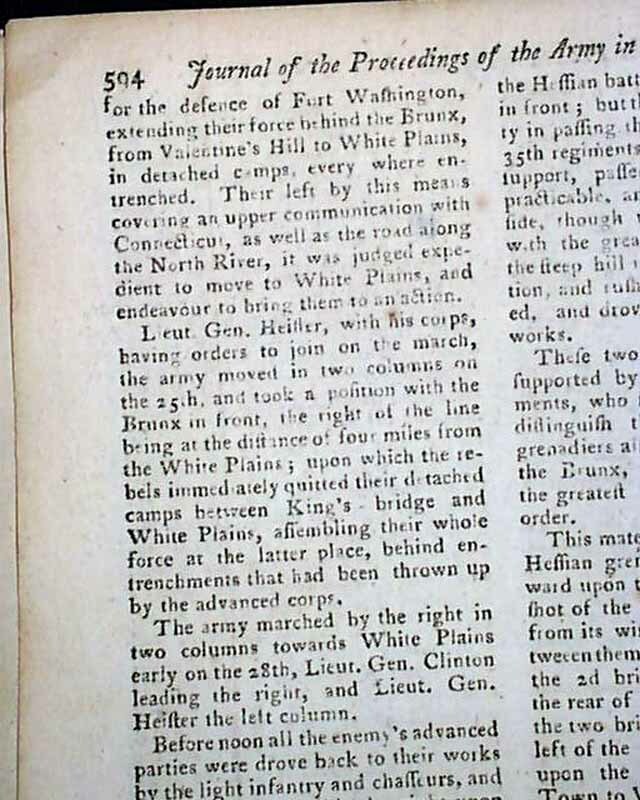 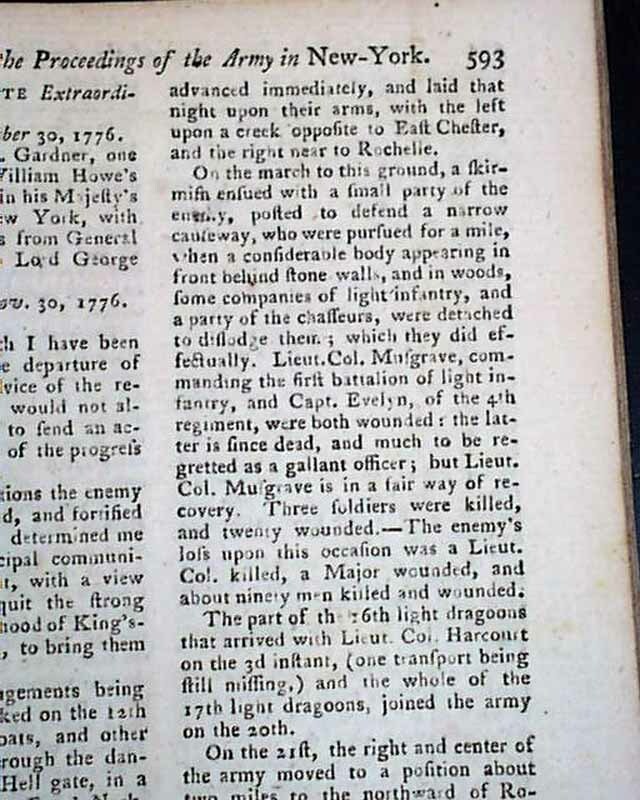 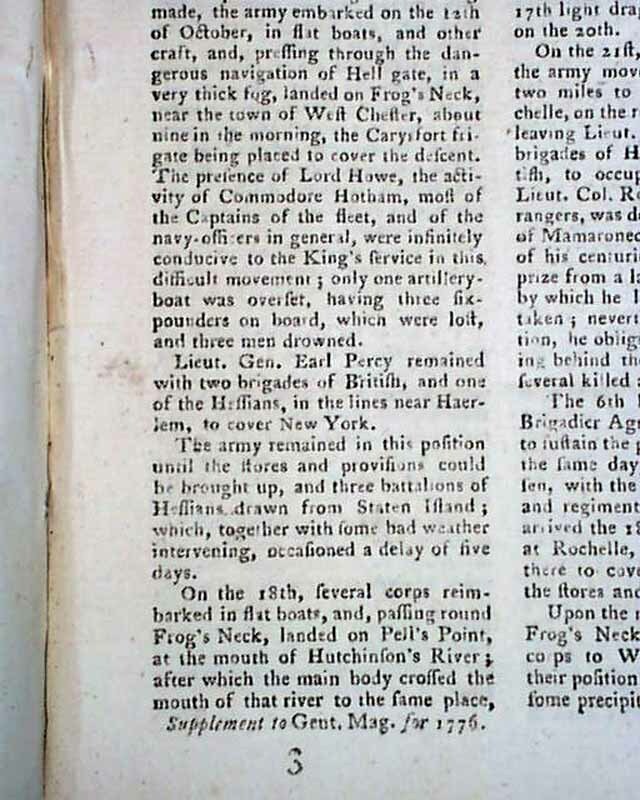 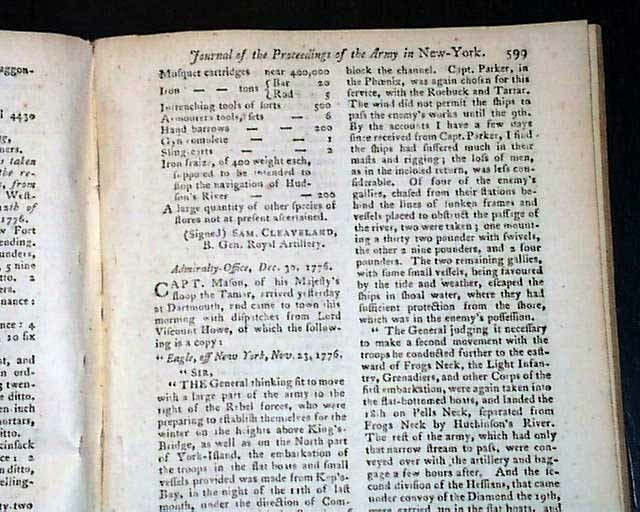 This 28 page magazine features a great & lengthy account of the Battle of New York signed in type by: W. Howe which takes over 4 pages, only a few portions of which are shown in the photos. 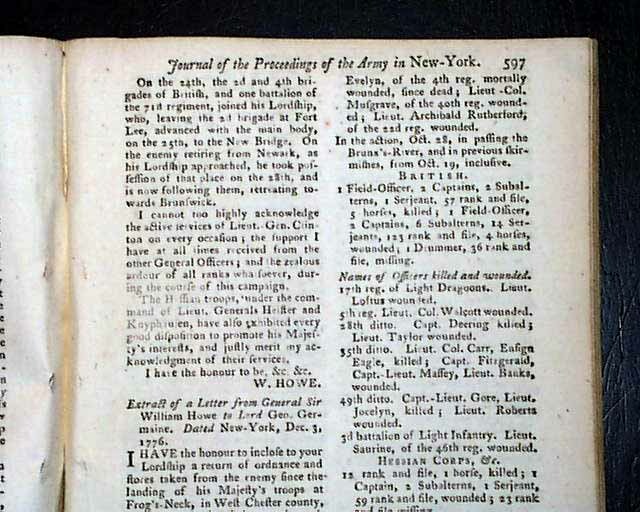 Included is the list of soldiers killed, wounded & missing in the battle and the ordinance & stores taken, taking close to 2 pages as well. 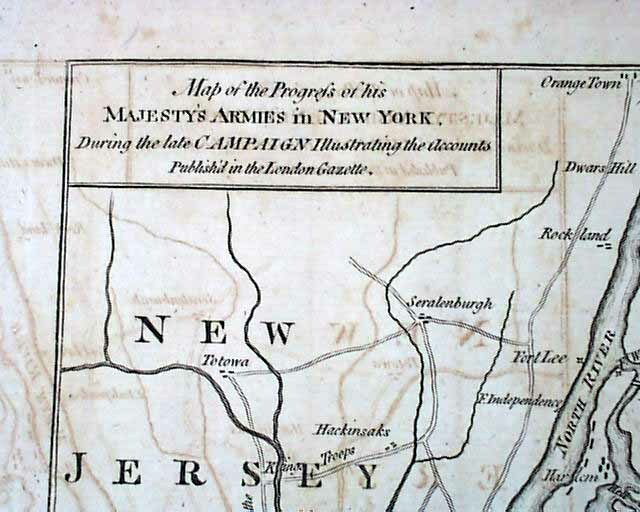 But certainly the prime piece in this issue, very much related to the New York battle report, is the great foldout map titled: "Map Of the Progress of His Majesty's Armies in New York During the Late Campaign Illustrating the Accounts Publish'd in the London Gazette." 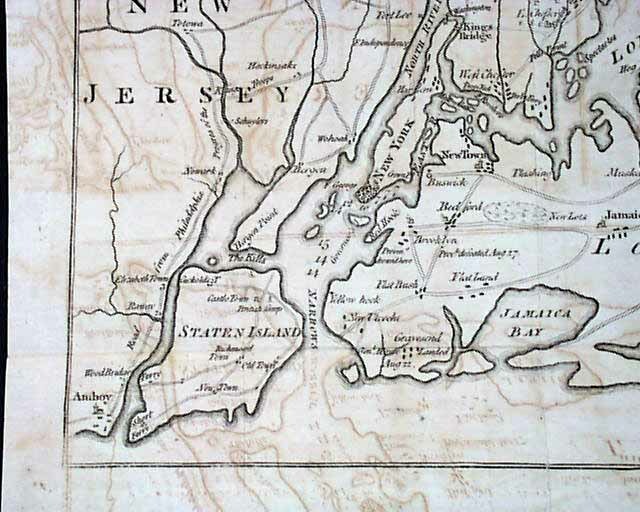 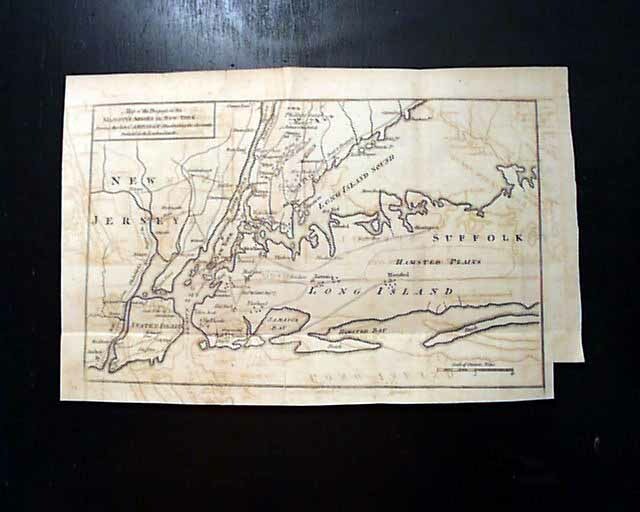 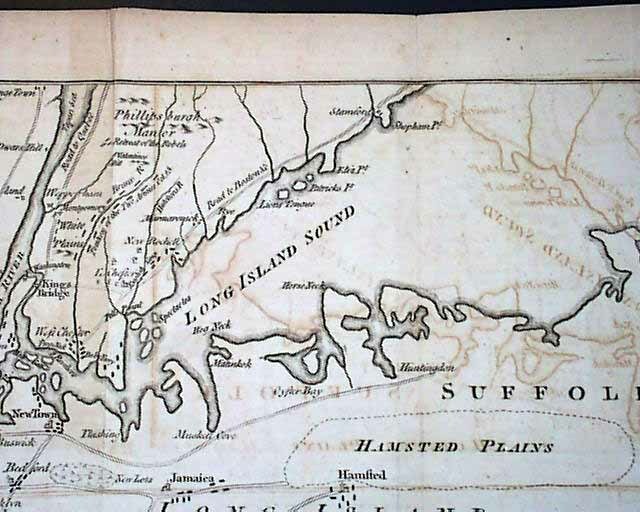 The map shows much of Long Island, all of Staten Island & Manhattan, plus portions of the Bronx and eastern New Jersey and measures 8 3/4 by 13 1/2 inches and is in very nice condition. 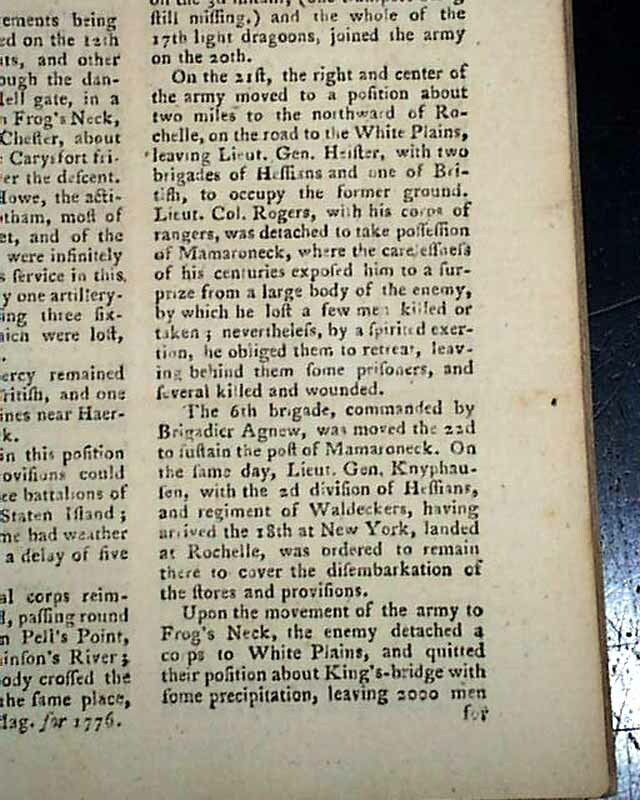 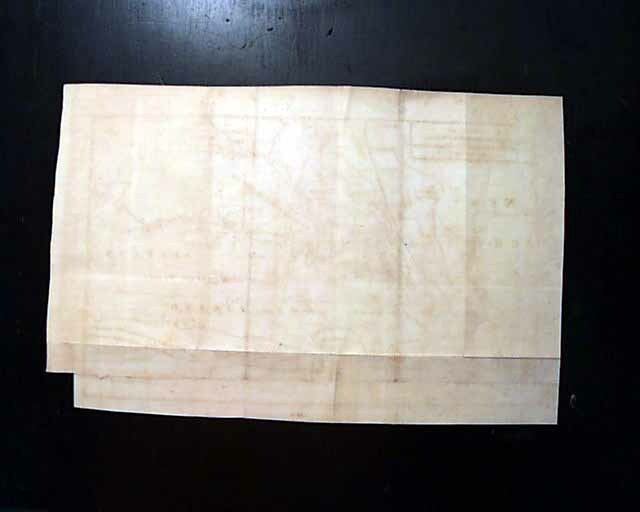 There is some ink off-setting from having been folded into the issue for over 200 years, otherwise there is ample margin around the border which will lend itself nicely to framing. 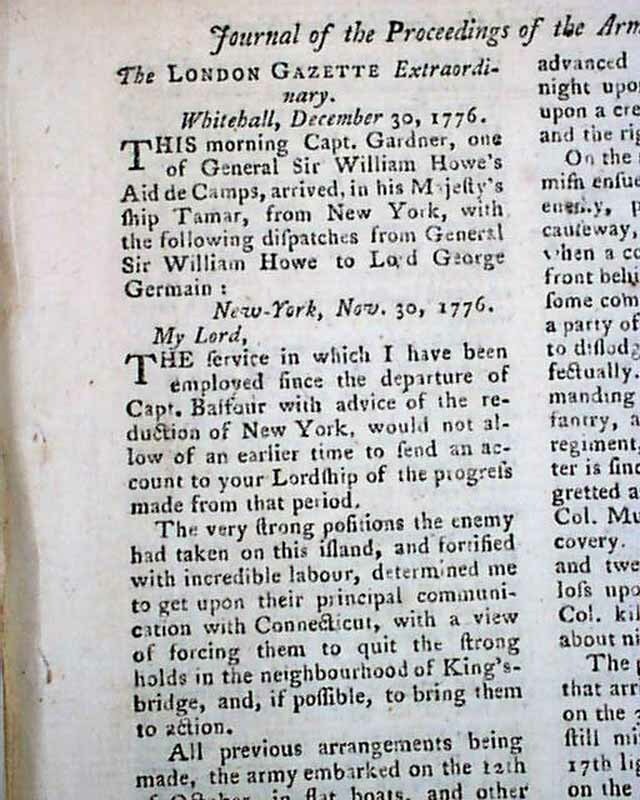 Additionally, this issue has much more on the Revolutionary War as well. 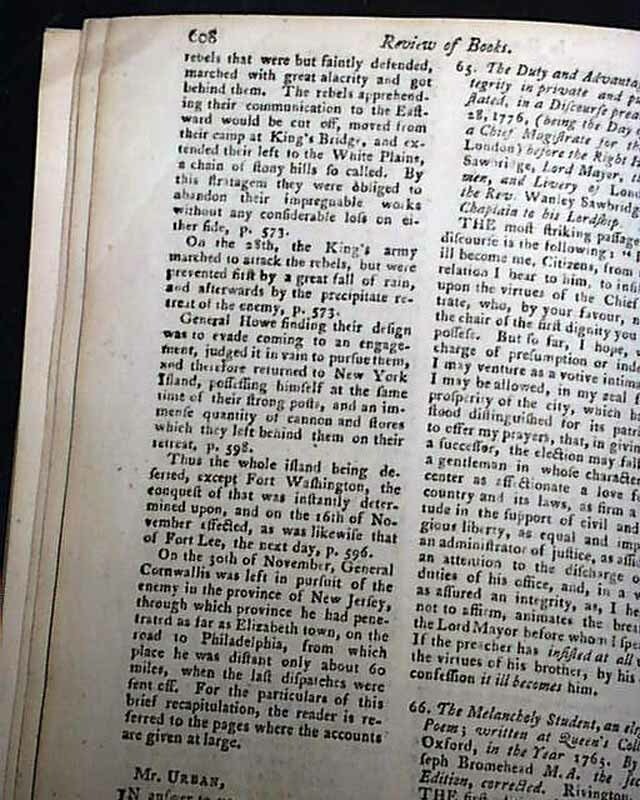 Included is a lengthy letter from Lord Howe concerning events in New York taking close to 2 pages. 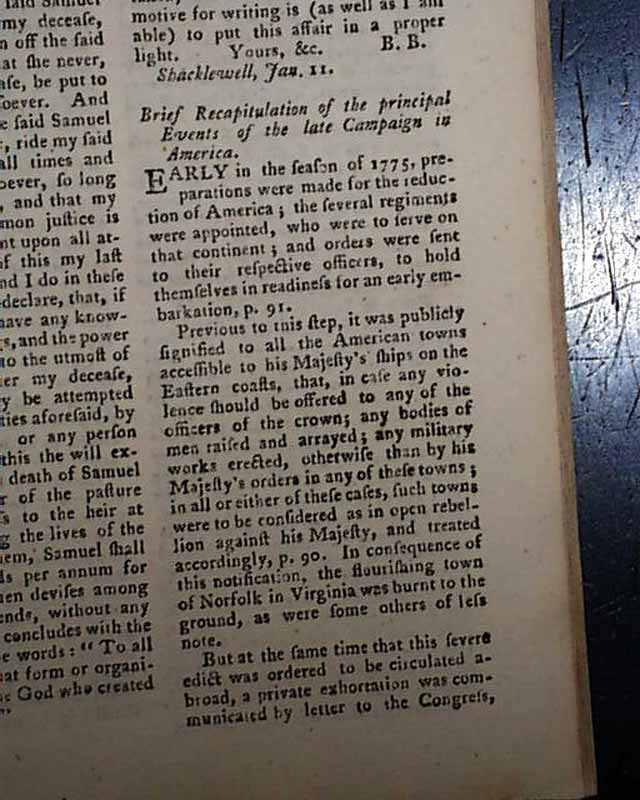 Another article is titled: "Brief Recapitulation of the Principal Events of the late Campaign in America" taking nearly 3 pages. 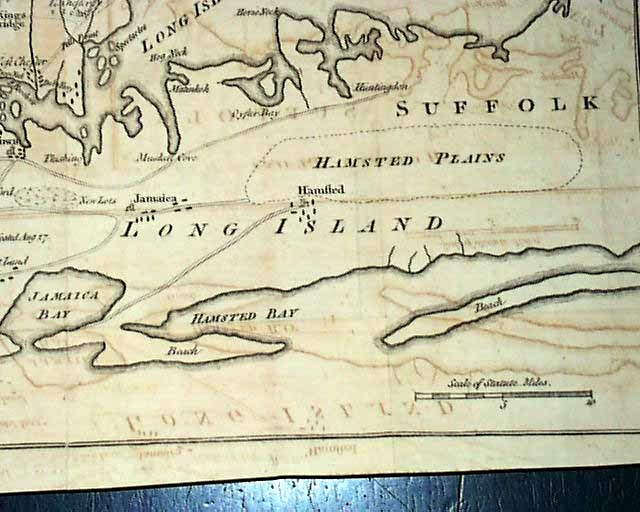 This issue is in great condition, measuring 5 by 8 1/4 inches.